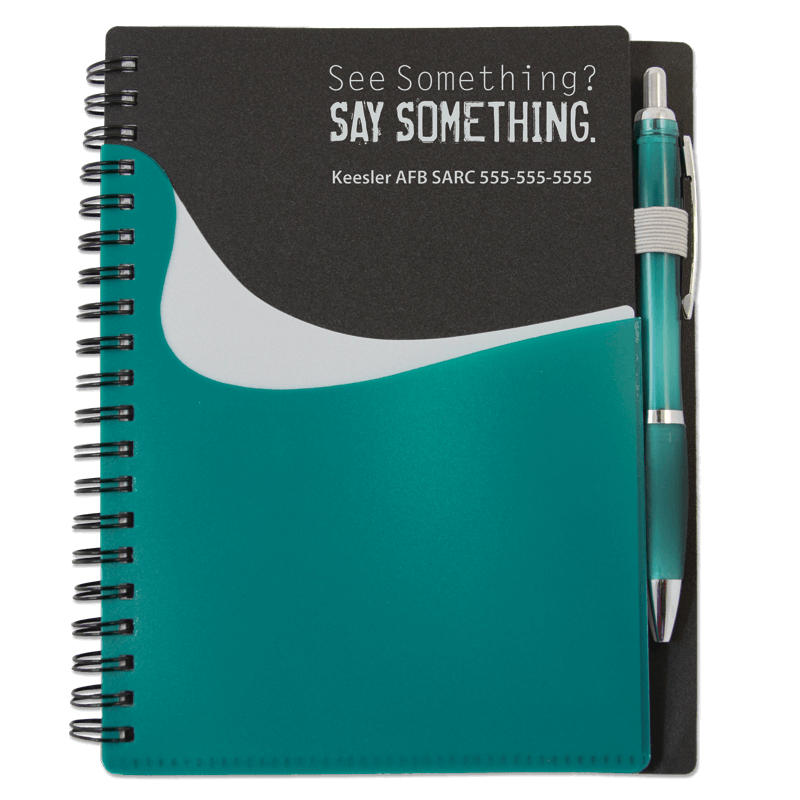 Our exclusive color for Sexual Assault Awareness! This spiral-bound notebook contains 70 lined pages and a matching, click-action pen. Features two exterior pockets, and one interior pocket.